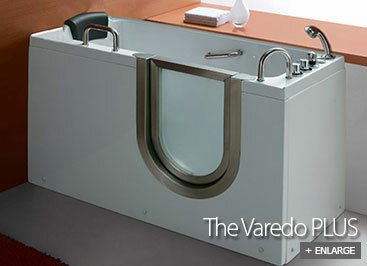 The Varedo Plus shares the same footprint and design of the popular Varedo while adding hydrotherapy jets. 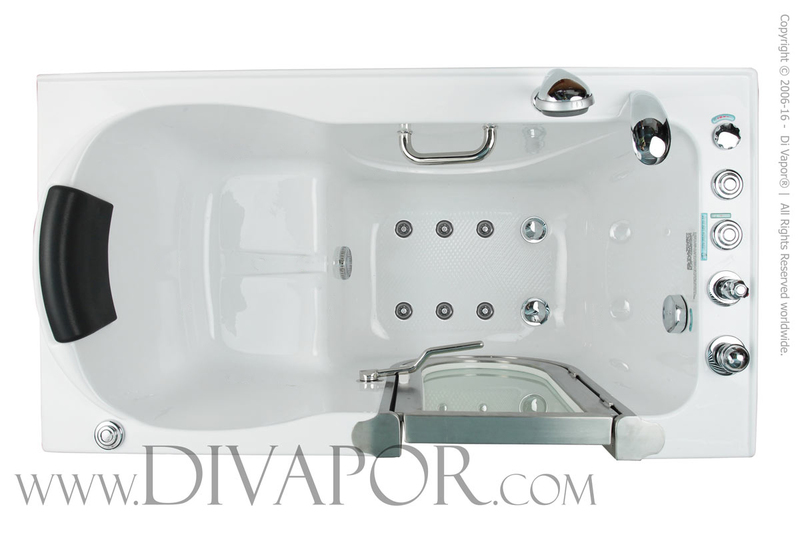 This luxury bath is perfect for those wanting a seated water hydrotherapy option, while also catering for those with mobility concerns. This walk-in mobility bath includes thermostatic temperature control, support handles along with a handheld shower and quick empty drains. The Varedo Plus walk in bath is designed with easy accessibility as a priority, and this is achieved with a specially crafted stainless steel door. With an inward opening, the door opens into the bath allowing the user to step in and close the door from the inside with ease. 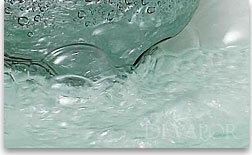 As water begins to fill the bath, the pressure from the water ensures a water tight seal. 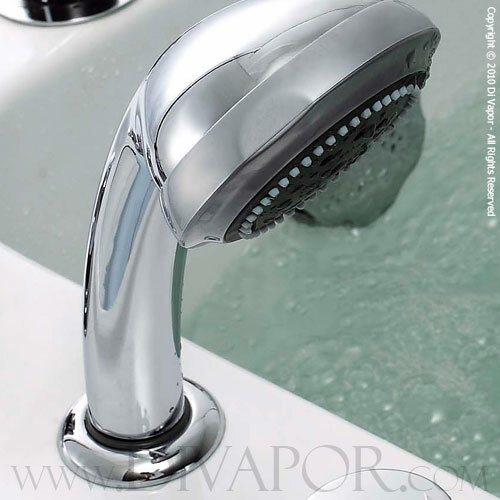 The Varedo Plus comes complete with a set of hydro massage bubble air jets designed to provide streams of bubbles at the touch of a button. 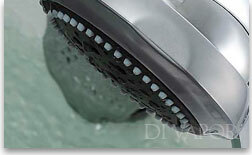 An independent air pump works efficiently to provide pressurised air through a series of circular jets lined along the floor of the bathtub. Comfortable bathing has never been easier. 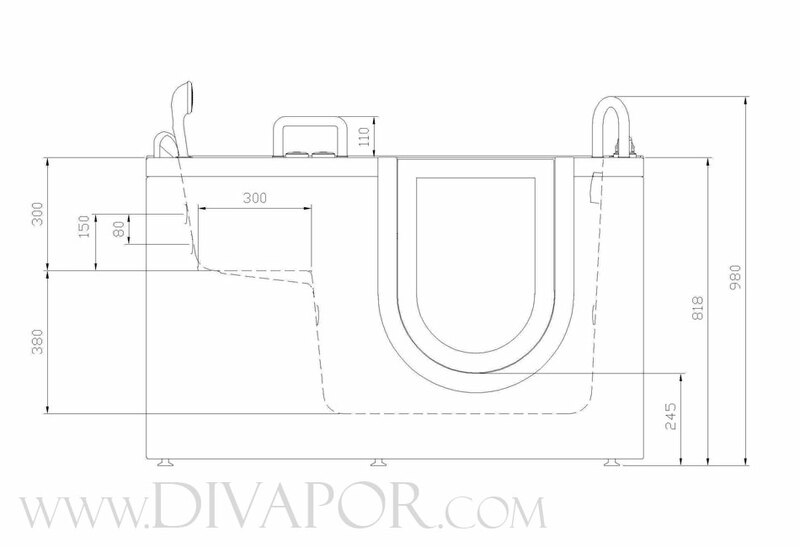 The door is the most important element of a walk in bath, which is why Di Vapor apply extra special care to make sure it's right. 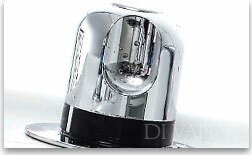 A high grade stainless steel (304 grade) frame has been designed to ensure maximum strength and durability. 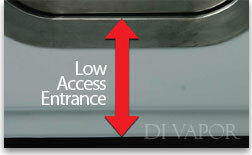 Disabled baths require a high quality door to guarantee the long life time of service that is expected from them. Once you've sat down into the Varedo Plus hydrotherapy walk in bath, you'll be able to close the main door using a conveniently placed swing handle. 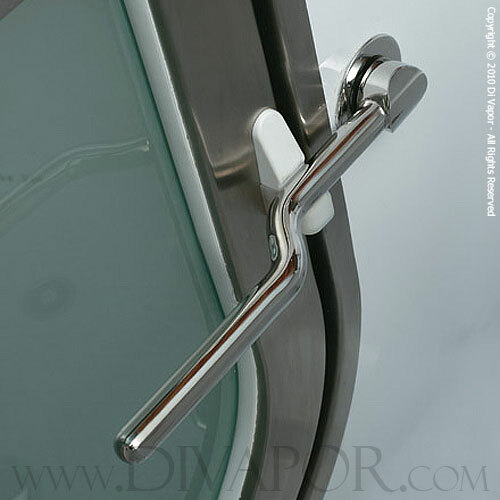 The large and "simple to use" handle allows you to easily create a firm watertight seal around the door, keeping the walk in bath entirely leak free. 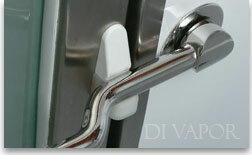 Once you've finished bathing, simply push the handle away from you to re-open the door. 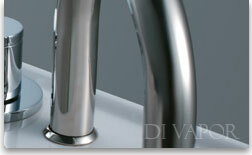 * Provided the bath is installed as per the manufacturer's drainage requirements. Due to the nature of a walk in bath, you'll want to ensure that the water coming into the cabin is of a temperature that suits you, without unexpected spurts of hot and cold. 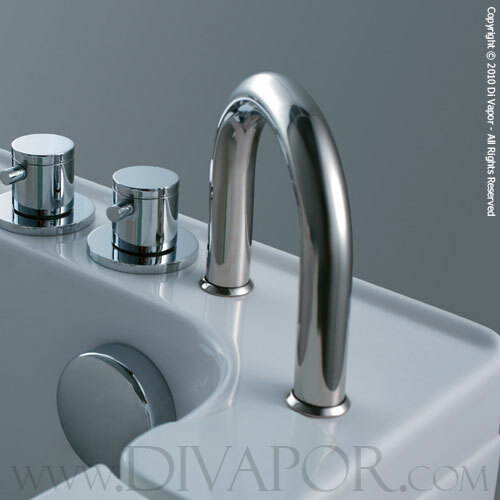 The thermostatic valve works to control the mixing of hot and cold water as it enters bath, with a range of various temperatures for the user to choose. Mobility is the priority when it's come to walk in baths, which is why the Varedo Plus comes completed with a low access entrance. 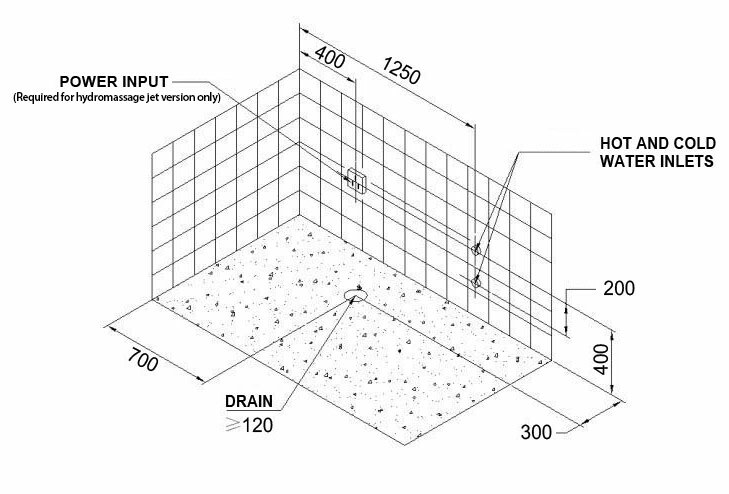 With a step up of just 9 inches, those with mobility issues will easily be able to step in and out of the bath without assistance. 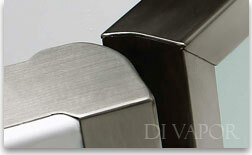 This ensures safety for the user, without comprising the walk in baths strength and durability. For added safety and convenience, the Varedo Plus walk-in-bath comes complete with a variety of stainless steel support handles that you can use to help get in and out of the bath. The Varedo Plus comes complete with 3 handles, with two either side of the door to assist with access along with one next to the seat to assist with standing and sitting. With maximum comfort as a priority, the Varedo Plus walk in bath comes complete with a large moulded seat to provide ample seating for one person. 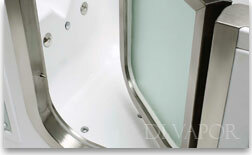 Bathing in a walk in bath can take time, so being comfortable is an important factor. The seat itself is moulded from high grade fibreglass reinforced acrylic, which reduces excessive flexibility in the seat and bath. 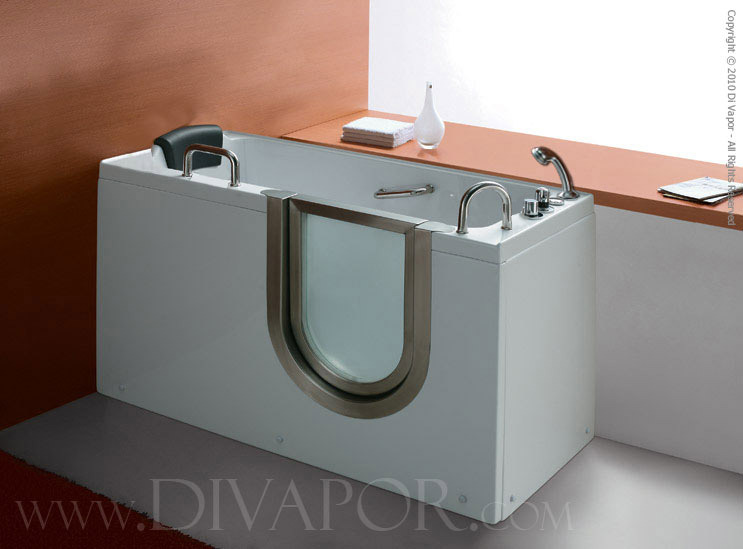 The Varedo Plus walk in bath is moulded from one single layer of acrylic, which is then reinforced with several layers of fibreglass. This reinforced moulded piece is then mounted onto a large stainless steel box framing underneath for for added strength and durability. 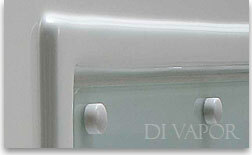 Our high grade acrylic carries the beneficial properties, including being naturally "warm to the touch." 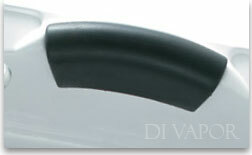 Located behind the large moulded seat is an easy clean, durable rubber headrest for added comfort when bathing. As mentioned previously, a bathing session in a walk in bath can take time which is why you'll want to maximise comfort. Acrylic is naturally a "warm-to-the-touch" material, and the addition of this soft headrest can make for a relaxing experience. The Varedo walk in bath comes complete with a hand held shower on an extendable hose situated within arm's length of the seating area. 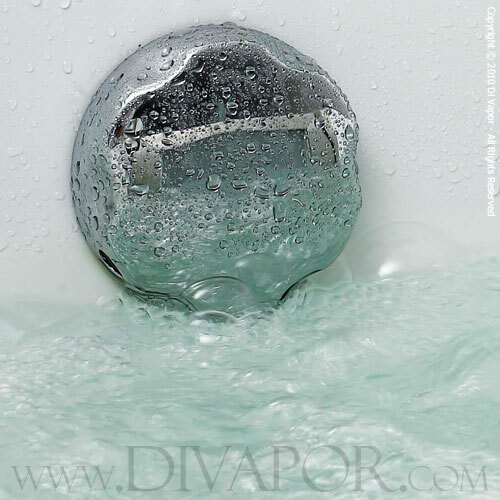 This feature is perfect for additional bathing comfort, whilst being the ideal solution to washing down the bath of any loose suds after each use. 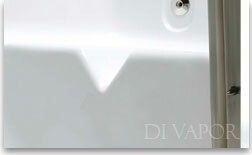 The Varedo Plus walk in bath comes complete with two removal panels that make up the sides of the bath structure. Removal of these panels will give access to the main internal workings of the bath including the pipework and drainage. 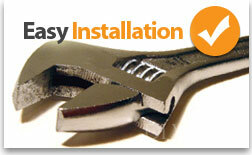 The Varedo Plus walk in bath comes complete with everything required for a successful installation. 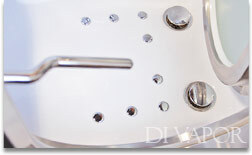 This includes 2 braided hose water supply pipes for the hot and cold water supplies, along with equipment required for connecting the drainage. Once you've confirmed that the bath will fit in place, it's simply a matter of ordering a cabin and sliding it into place.